A riser kit offers an easier, lower cost alternative to building a plinth, because the plumbing connections are concealed beneath the showertray, which offers easy access via removable panels. 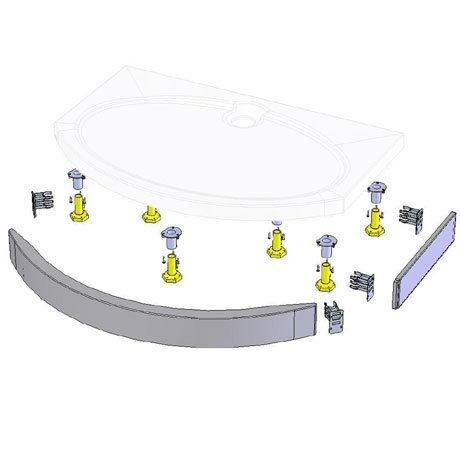 For the square and rectangular trays riser kits, standard length panels are supplied - in most cases they will require trimming to length during installation. 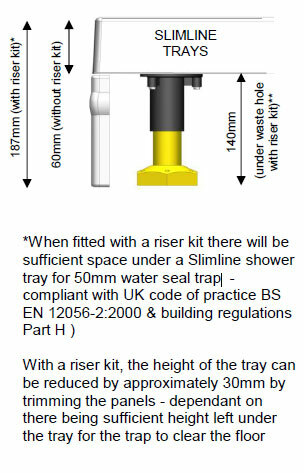 This riser kit is designed to be used with Coram Slimline trays only. Legs are easily screw fixed to the factory fitted mounting plates. Hexagonal feet simply screw in and can be easily adjusted by hand to level the tray. Angled screw holes make the feet easy to fix in position. Panels are timber backed to make them completely rigid and easy to trim to size. The panels are attached with specially designed push-on spring clips. Please note - shower tray sold separately. Additional images for illustrative purposes only.